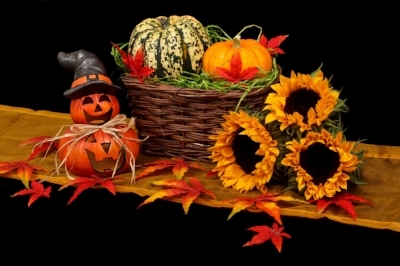 I'm not the biggest Halloween fan but I love this time of year with carved pumpkins, costumes and trick-or-treating. We have intentionally created Halloween memories for our girls and enjoy the company of our friends every year. Do you do anything special for Halloween? Do you decorate your house or have a party? Last week was a great one year anniversary week with three stories and Facebook Live! You can still read the stories from last week by clicking down below or heading to the website. If you didn't get a chance to watch Facebook Live, you can head to our Facebook page to watch the video of it. Our Remembering You series concludes this week with Ali and Meghan's stories of love and loss. These women went from your normal pregnancies and expected births to the words you never want to hear. Join me in loving and encouraging Ali & Meghan this week. Our 2016 Surviving the Holiday series begins next week and we are in need of 6 more stories. Share how you move through the holiday season while carrying a broken heart, finalizing your divorce, fighting illness or dealing with difficult family members. Begin your story submission here. Help us continue Woman Crush Wednesday with the women you are currently crushing on. Leave a comment down below or email me with your suggestions. I made it through the grief wave last week and began to breathe again as the clock reset. The good news: I knew the wave was coming and was mostly prepared for it. The bad news: the wave came higher than that expectation and the panic attack I suffered was down right awful. But thanks to my posse, my tribe, I recovered from the giant wave to have a fun Facebook Live with all of you. Thank you again for an incredible first year! This was the day we would confirm my strong suspicion that there was indeed a baby girl growing in my belly. With each of my previous pregnancies, I exhibited specific symptoms that differed between boy/girl. I just knew this would be another girl. Real men don't cry. If this is true--why am I crying? Does it have implications as to my masculinity--or lack thereof?